Director – James Hogan, Screenplay – Paul Gangelin & Brenda Weisberg, Story – Hans Kraly, Photography (b&w) – Milton Krasner, Musical Director – H.J. Salter, Art Direction – John B. Goodman & Martin Obzina. Production Company – Universal. Dr Alfred Morris asks student Ted Allison to become his assistant in a series of experiments. Morris is fascinated with an ancient native ritual in which a drug was used to turn a person into a mindless zombie, where the only way they could be restored to normal was by removing the heart from a recently dead corpse. Morris then reveals to Ted that he has successfully replicated the drug. However, Morris is jealous of the fact that Ted is dating singer Isabel Lewis. He contrives to send Ted into the laboratory where he has left some of the drug exposed, causing Ted to become a zombie. Morris tells Isabel that Ted has fallen ill. He and Ted engage in a series of grave robbings in order to restore Ted to normal. When Isabel announces that she loves another man, Morris decides to send the zombified Ted out to kill. The mad scientist film was widespread during the 1930s and 40s. It had been popularised by the success of Universal’s Frankenstein (1931), which led to many imitators and was the key influence on a great boom known as the Golden Age of Horror. By the 1940s, Universal were churning out regular sequels to their monster movies while the mad scientist film had become the province of low-budget studios such as Monogram, Republic and PRC, mostly featuring Bela Lugosi. The Mad Ghoul was one of these mad scientist films. It was made by Universal, which meant that it was afforded a slightly better budget and looks more polished than the ones being churned out at the aforementioned studios. Rather than Bela Lugosi, the studio cast George Zucco, a British born actor who had some success during this decade after appearing as Professor Moriarty in The Adventures of Sherlock Holmes (1939). Zucco went onto appear in a number of mad scientist films such as The Monster and the Girl (1941), Dr Renault’s Secret (1942), The Mad Monster (1942), Dead Men Walk (1943), Return of the Ape Man (1944), Voodoo Man (1944), Fog Island (1945), The Flying Serpent (1946) and Scared to Death (1947), as well as several of Universal’s Mummy sequels. Similarly, heroine Evelyn Ankers was a Universal contract player who became an established horror heroine during this era after appearing as the love interest in The Wolf Man (1941), followed by various other horror parts in The Ghost of Frankenstein (1942), Captive Wild Woman (1943), Son of Dracula (1943), The Invisible Man’s Revenge (1944), Weird Woman (1944) and The Frozen Ghost (1945). The main problem with The Mad Ghoul is that it is a not terribly interesting mad scientist film. The plot is an oddly contorted one that involves George Zucco turning assistant David Bruce into a zombie with a native-derived gas. The process comes with the improbable requirement of a heart from a recently deceased corpse in order to restore him back to normal, necessitating that they conduct various grave robbings, but the script never credibly establishes why specifically the heart of a dead person is needed. The plot is also structured in a way that makes for a dull horror film. Even though David Bruce becomes zombified, he never seems to get up to much. Apart from some grave robbing scenes (which all take place on obvious studio bound graveyard sets covered in fog), the film never has Zucco sending Bruce out as a controlled killer until almost right near the end. The story is more of a love triangle (or even quadrangle) – student David Bruce loves fiancee Evelyn Ankers, she loves another man, George Zucco desires Ankers and contrives to get rid of Bruce by turning him into a zombie and then making advances on her. James Hogan was a director who had made a number of Paramount’s Bulldog Drummond films and Columbia’s Ellery Queen adaptations. His only one other venture into horror was Life Returns (1935). Hogan is a prosaic director and fails to do anything very interesting with the film. 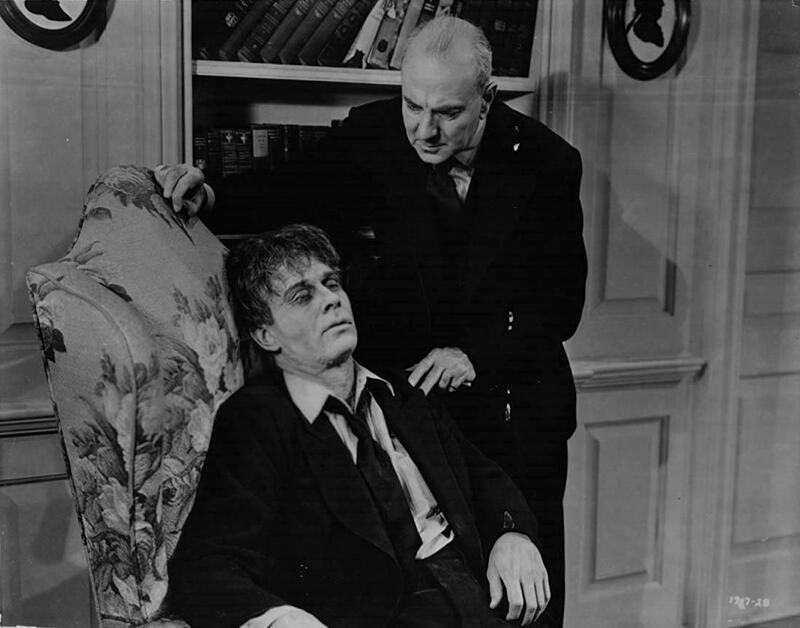 There is a mildly effective scene near the end that stirs some pathos where George Zucco becomes infected and crawls towards an open grave, at the same time as David Bruce has been commanded to kill and stumbles out onto the stage during Evelyn Ankers’ performance but ends up conflicted between his orders and feelings. George Zucco livens the show up playing to form with a wonderfully mad intensity. In one of the better scenes, he knowingly sends David Bruce into the laboratory filled with the zombie gas and sits back to wait while madly bashing away at the piano.